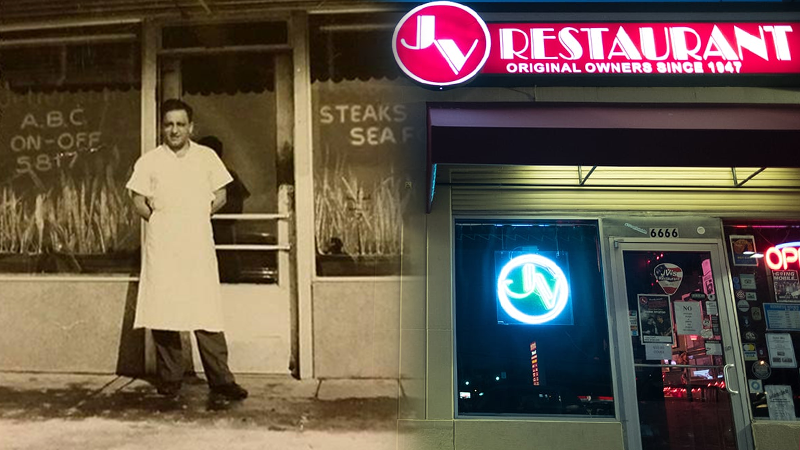 JV’s Restaurant is a staple of the Falls Church and Fairfax County communities in Virginia. Originally established in 1947 by Greek resistance fighter and WWII prisoner-of-war, George Dross and his brother Louis, the family restaurant and live music venue has been teeming with high spirits and happy customers for over 70 years. 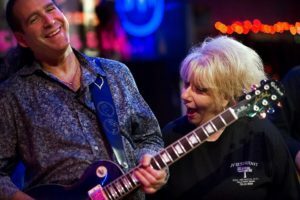 Daughter of George Dross and current owner of JV’s, Lorraine Campbell, describes the restaurant as a comfortable place with a Cheers-like atmosphere where friends go to spend time together over home-cooked meals and live music. And not much has changed, except for their point of sale system. 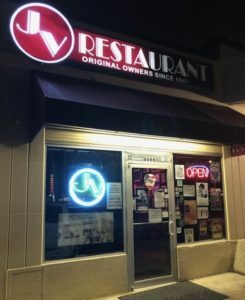 JV’s Restaurant in Falls Church, VA.
Campbell began her search for a new POS system when JV’s started renovating to make space for more guests. The restaurant had sported the same single cash register since its opening in the late 1940s, and Campbell knew it was slowing down business. 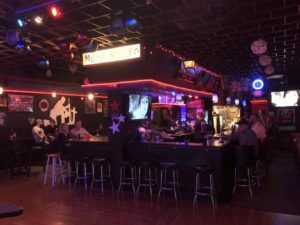 A loyal patron and frequent music performer of the restaurant, and co-owner of Essential Systems Solutions, Michael Tash, knew Campbell was looking to update her model of handwritten tickets and cash register as the restaurant began to expand. Once JV’s Restaurant made the switch to MobileBytes’ cloud-based system, the whole dynamic of the establishment changed. The lively bar at JV’s. A small family business with high taxes and rent to consider, Campbell also needed to make sure every cent made was being properly recorded in the system. With MobileBytes, sales are tracked in real-time, allowing management to access data from any location with an internet connection. With attentive support from the team at ESS, Campbell and the rest of the JV’s team is in good hands. Always keeping in contact and informing Campbell of new features and updates in the system, Essential Systems Solutions has kept JV’s up-to-date since it’s installation in July 2017. Campbell’s determination to keep JV’s legacy alive has kept the restaurant going strong. And, with its recent expansion, new point of sale system, and frequent visits from their friends at ESS to keep them updated, JV’s looks like it has a bright future ahead. Tash and Campbell celebrating on the JV’s stage.